Original post can be found here. If link is broken, you can find the .pdf file here. 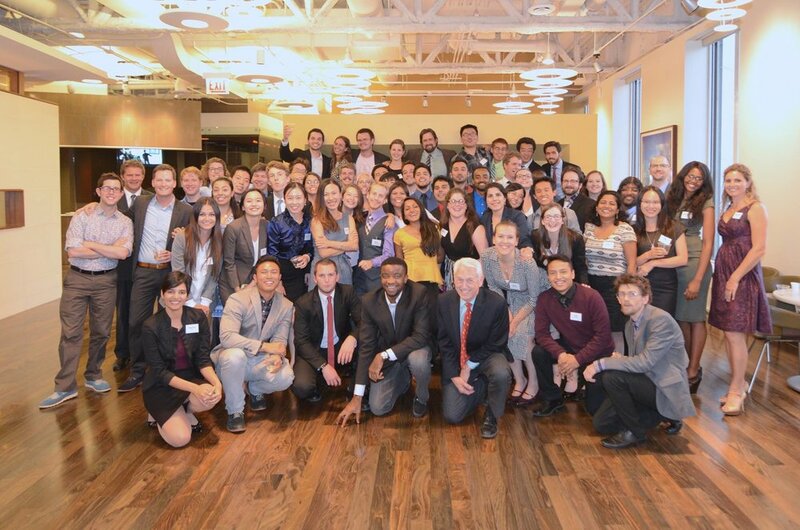 SISE 2014 at the Chicago Microsoft office. Robert Ireland credits his time as an undergraduate at University of California-Davis with making him a true believer in green building and sustainability. The school’s emphasis on environmental projects—such as Project Compost and student farms—and his undergrad research into solar cells and alternative energy nurtured his enthusiasm and motivation for environmental issues. With a professional goal of becoming a professor in the field of energy, Ireland recently attended the two-week Summer Institute on Sustainability and Energy (SISE) at the University of Illinois at Chicago. “I applied to begin with because I wanted to make sure I wasn’t missing any glaring concepts. If I’m going to say I’m an expert, I need to know everything that’s here,” Ireland said. The program website describes SISE as a “summer intensive workshop that focuses on current topics in energy, sustainable energy, and sustainability.” SISE provides participants with the opportunity to participate in lectures, panel discussions, field trips, and networking events. In addition, SISE participants collaborate on research and design projects to tackle sustainability and energy issues related to the program theme. This year’s theme was urban energy. Groups addressed issues such as solar infrastructure in Chicago, complete street projects, and optimizing transportation to reduce individual expenses and carbon footprint. Ireland’s group won the grand prize in innovation for their collaborative research project. Ireland’s group was faced with a brown field project; a Chicago coal plant had been decommissioned in 2012 and they had to decide what to do with the land. The group decided that a vertical farm was the best use for the land since high school students in the area were facing low graduation rates and the surrounding population consisted of underprivileged, low-income immigrant families. None of this would have been possible without complete serendipity. Robert Ireland is currently a graduate student researcher in Dr. Howard Katz’s lab.